When people engage in service, life change happens—for those serving, for the people they serve, and for those who see them choosing to give their time to help others. Each year we take a trip to Costa Rica to serve with 6:8 Ministries, a local organization in Jacksonville. We’d love to have you join us on our 2019 trip happening June 26-July 3. Interested in joining us? Complete the interest form to receive more information. 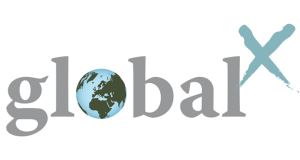 Deadline to register for globalX: April 19. Click here to give a financial gift to support a globalX participant. globalX is Access Church’s international serving division. Our mission is to lead people into a growing relationship with Jesus Christ by serving our international community through partnering with exceptional organizations to help meet the spiritual and physical needs of at-risk families and children. We believe when people engage in service, it leads to life change. So we created globalX trips, opportunities for people to serve together in various locations around the world. Our belief is that, as people choose to serve, whether in church, in the local community, or around the world, the impact of that service will change lives. Check out the video below from one of our globalX Costa Rica trips!